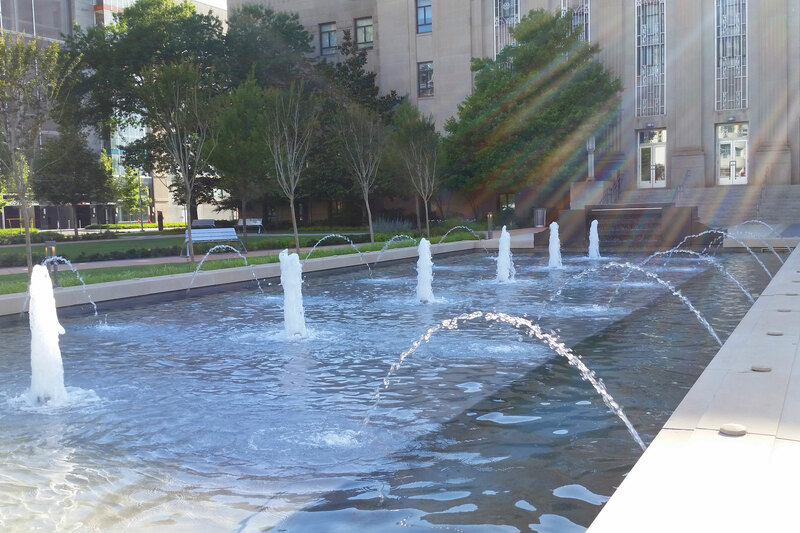 The fountain outside City Hall was restored as part of a community improvement plan. 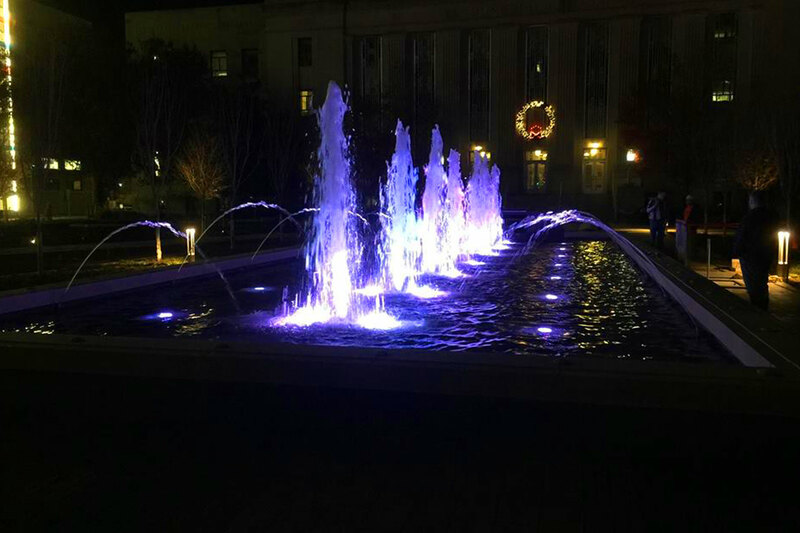 The municipal fountain is a linear design with arching water jets and RGB LED lights. 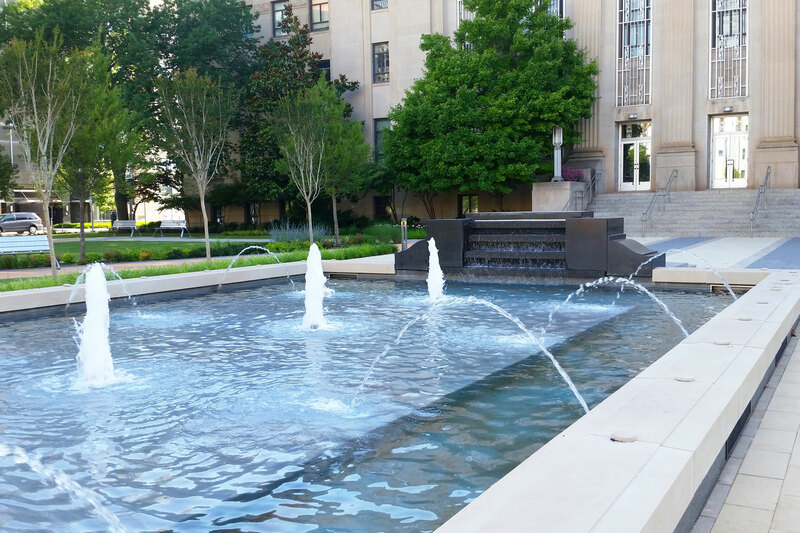 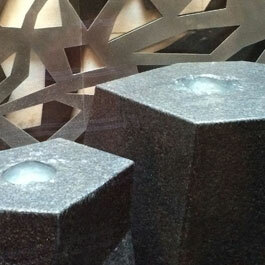 Delta Fountains helped restore the community fountain outside Oklahoma City’s City Hall. 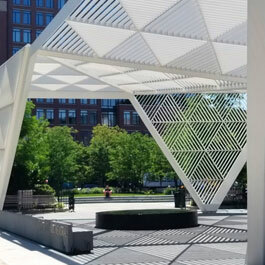 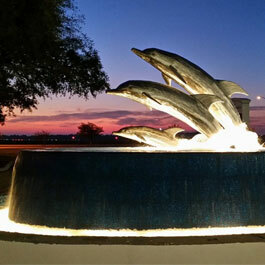 The fountain was designed as part of a community improvement plan. 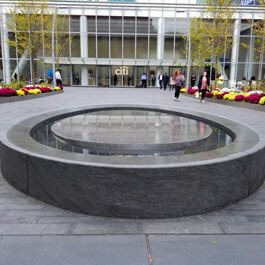 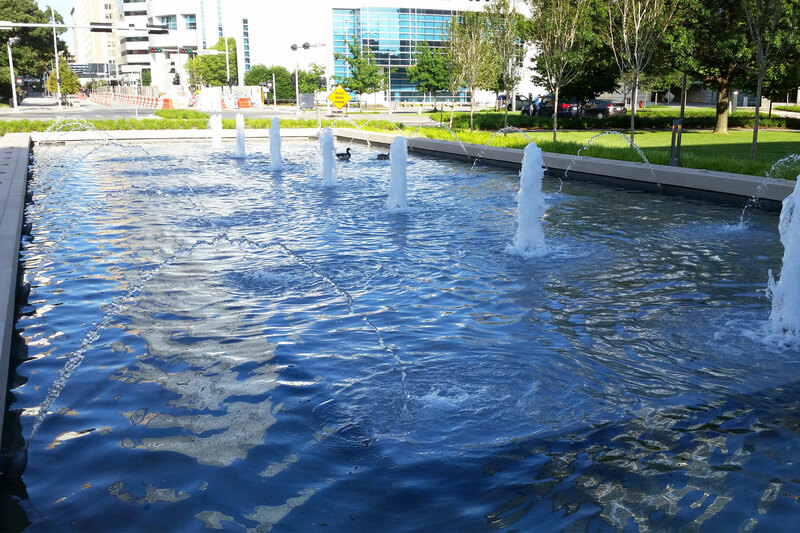 The fountain is a linear pool lined with geysers down the middle and arching jets along the sides. 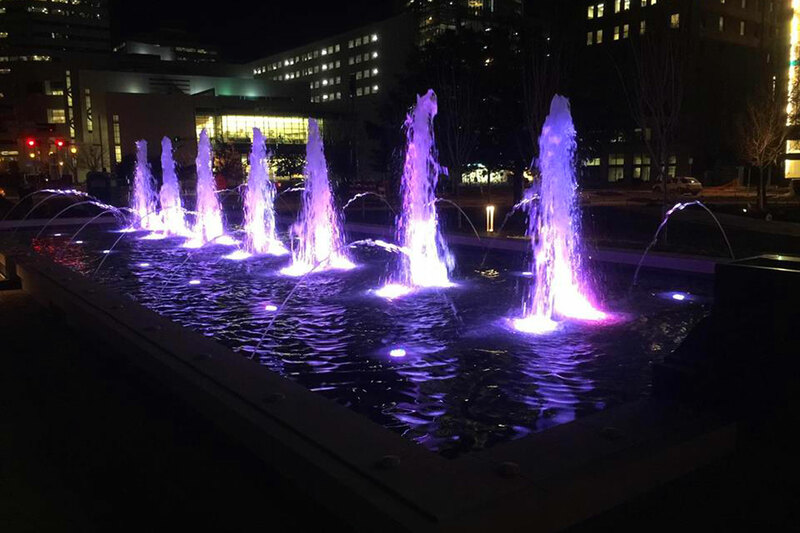 Delta Fountains updated the equipment and added RGB LED lighting to create colorful night shows.